Artificial Silk does mixed media projects with global connections. Our collected energy for making is combined in the name Artificial Silk. Resilience, revival and creating spaces for the imagination describe our work. Memories of a trip to the southern tip of India were revived by seeing a newspaper article and hearing some BBC World Service interviews. In Mysuru in southern India, within walking distance of the pristine and grander Mysore Palace, sits Jaganmohan Palace and Art Gallery. 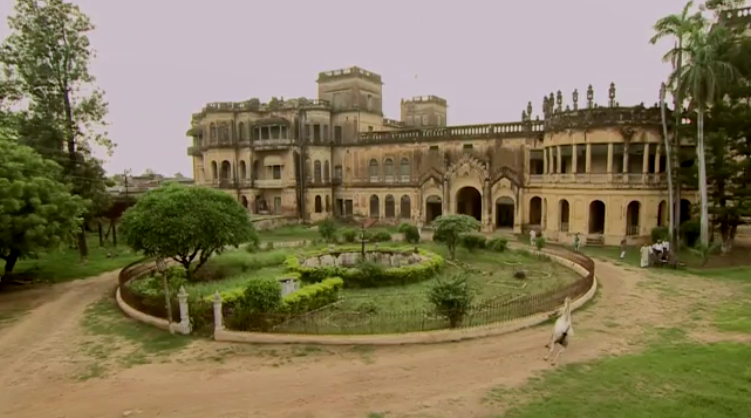 It has a similar front aspect to the Palace of Mahmudabad with its circular garden and driveway. In 2016 it was brought alive by the sharp purple of a boy’s first formal outfit. Shy to be photographed and shuftied to the front by his camera-less father, who asked us to take the photograph, the boy seemed less comfortable than the girls. 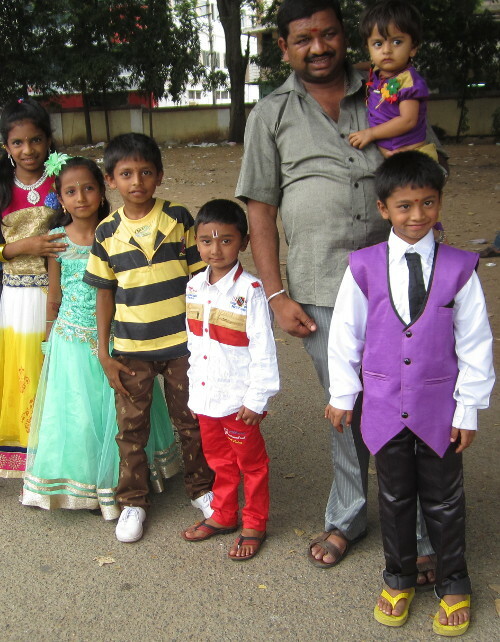 The shiny Elvis trousers and waistcoat selected to be grown in to, the big green hair decoration and yellow flip-flops were radiant against the crumbling backdrop of a cracked Jaganmohan garden fountain. Here, art has merely been migrated into the grand old buildings, and the little ticket kiosk, scuffed paintings and chipped sculptures are gathering dust. A little further down the Mysuru road is the Wellington Building, home for two years (1799-1801) of the then future Duke of Wellington. Made of burnt bricks and lime mortar, this two centuries old building is now run by the Ministry of Culture’s Indira Ghandi Rashtriya Manav Sangrahalaya. 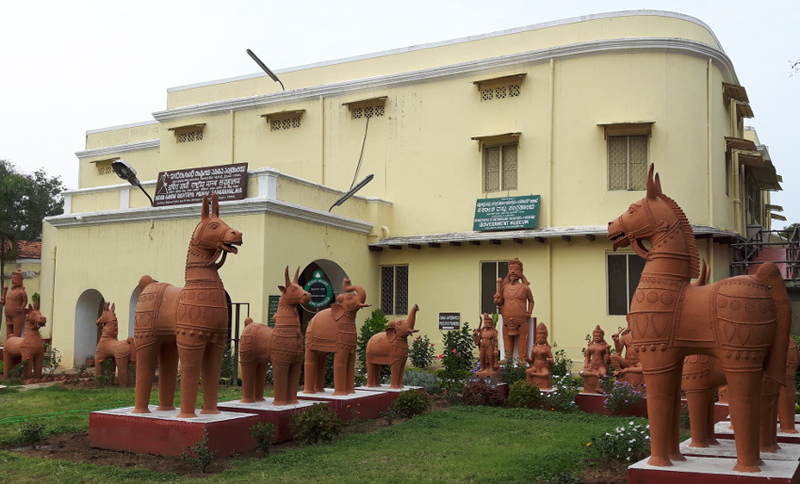 The curators in this heritage centre have sympathetically housed amazing ironwork, terracotta and basketware to celebrate the bold craft and artistry of many tribes across India. 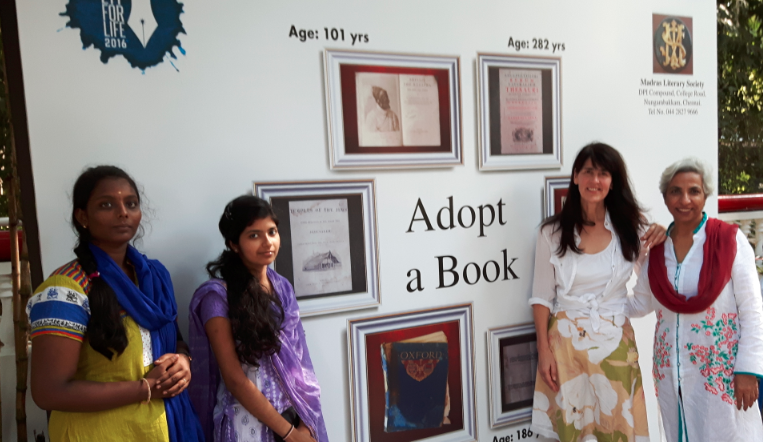 Further east, in Chennai, books are being digitised by the Madras Literary Society. Their display, and call to adopt a book, stood out in the gardens of Chennai’s 2016 Literature Festival. Digital public art from Invisible Flock forges cultural superhighways. 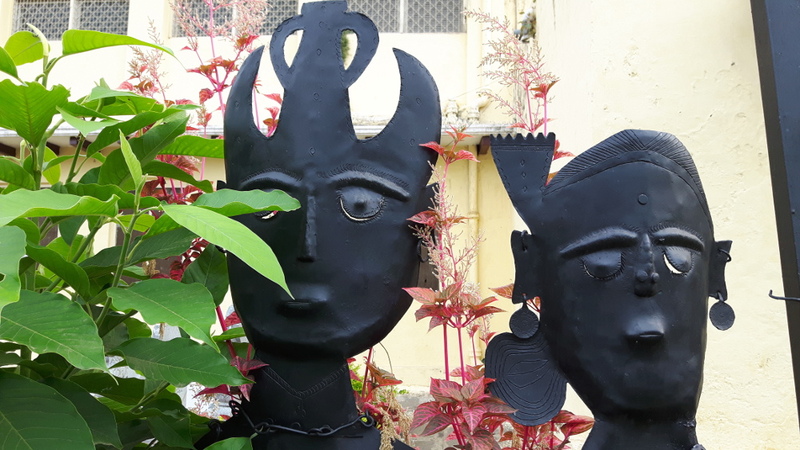 Engagement with arts and culture through digital technology requires fewer bricks and mortar, where projects such as DUET forge tangible connections between the North of England and India. 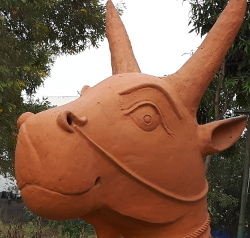 But the object below in Mysuru’s heritage centre was seen up close, and will not be forgotten. Find out more about what Artificial Silk has made to date.